Joe Dyde, joins the Buildoffsite team as Business Manager. Joe has 15 years of experience in the UK Higher Education sector having worked with 20% of the top UK universities to manage project delivery and help achieve their key facilities management strategies. Through his work Joe has enhanced service delivery and experience across multiple projects in Europe. By delivering best practice processes, efficiencies and being adaptable enabled Joe to build strong cohesive relationships industry wide. 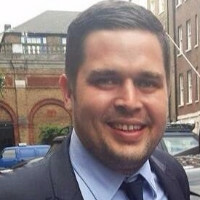 Joe will be bringing those skills and experience to his role at Buildoffsite, and will be working to better deliver first class member experience and further develop Buildoffsite as the key voice in the offsite sector.